Estudio MMX, Eco Pavilion, 2011, Mexico City. Courtesy of Buró-Buró/Museo Experimental el Eco. Libretas Eco Pavilion is a collection of brief texts that expand on the possibilities of and offer critical reflection on ephemeral architectural interventions across art disciplines and how they can shape the ways that we experience and think about space in a contemporary and local context. Each volume invites a cultural agent to expand on the experience and ideas of the winning pavilions of the Museo Experimental el Eco's annual architecture competition in Mexico City since 2010, the only one of its kind in Mexico. 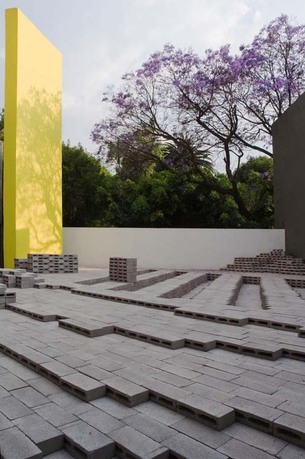 The first six parts will document built pavilions by: Frida Escobedo (2010), Estudio MMX (2011), Luis Alderete (2012), Macías Peredo (2013), Taller Capital (2015), and APRDELESP (2016). Libretas Pabellón Eco is a joint project by Museo Experimental el Eco, which is part of the Universidad Nacional Autónoma de México (UNAM) museum network and Buró-Buró. Frida Escobedo founded her architecture practice in 2006. Her work focuses on reactivating urban spaces that are considered to be residual or forgotten, with projects ranging from housing and community centers to hotels and gallery spaces. She lectures, publishes, and exhibits nationally and internationally. In 2009, she won the Young Architects Forum organized by the Architectural League of New York. 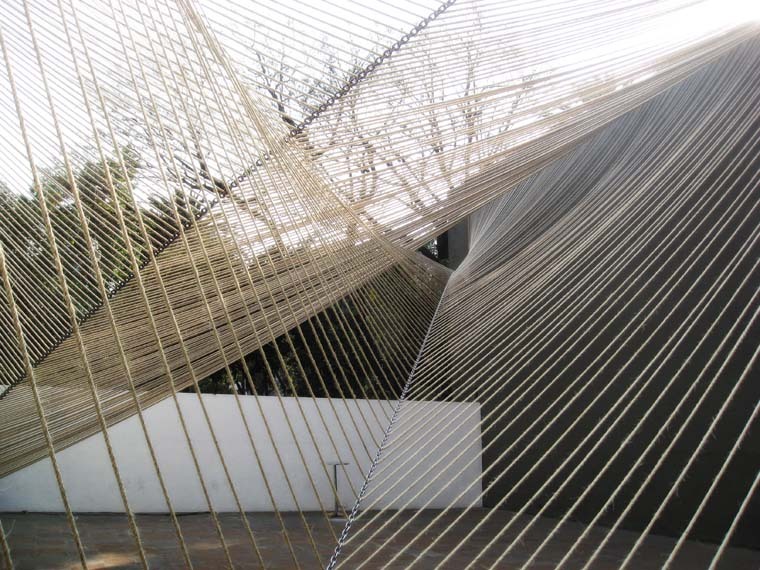 In 2012, her work was presented in the Mexican Pavilion at the Architecture Biennial in Venice and the Mission Cultural Center for Latino Arts in San Francisco. Also in 2012, she was invited to participate in an exhibition at Storefront for Art and Architecture in New York and had her first solo exhibition at LIGA in Mexico City. Most recently, she won the Ibero-American Biennale of Architecture and Urbanism Prize (IX BIAU) celebrated in Rosario, Argentina. 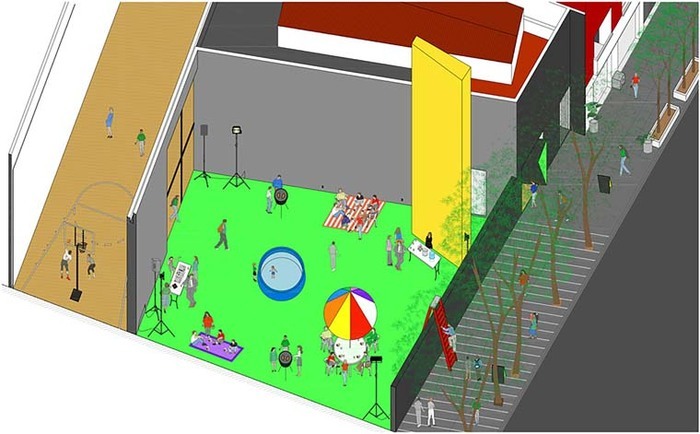 Founded by Jorge Arvizu, Ignacio del Rio, Emmanuel Ramirez, and Diego Ricalde, MMX Studio pursues a collaborative approach to promote participatory environments. Directly informed by collectivity, their work ranges in scale from design and installations to architecture and urbanism. 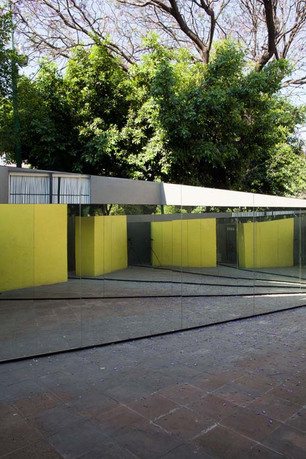 The studio has been the recipient of various national and international awards such as the Architectural League Prize, the Design Vanguard from Architectural Record, and the CEMEX Award for best national and international housing project at the Latin-American Biennale presented in Pamplona, Spain. Their work has been presented in various museums and galleries, such as the Storefront for Art and Architecture, The Museum of Modern Art in New York, as well as the MUDE Fashion Museum in Lisbon, Portugal. Established in 2007, Luis Alderete Arquitectos was created to analyze the city, its urban events, and relate contemporary understanding of anonymous architecture to different cultural fields. With work ranging from art installations to large urban projects, Alderete’s studio experiments with the insertion of craftwork into contemporary architecture. 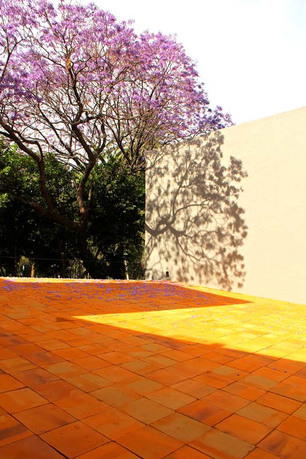 Before founding the practice, Alderete studied architecture at ITESO in Guadalajara, Mexico, and UIA in Mexico City, eventually pursuing a doctoral degree at ETSAB in Barcelona. From 2000 to 2011, Alderete was a theory and projects professor at ITESO and ITESM. Estudio Macías Peredo was founded by Salvador Macías and Magui Peredo. The studio strategizes plans, which anticipate the improvisation and experimentation inherent in craftsmanship. They pursue a way of creating that allows the hand-worker to participate in the building process, so he can manifest the project's intentions with the best of his own abilities. Estudio Macias Peredo has given several lectures on their practice at various universities and forums in Mexico, New York, and Tokyo. They have received two silver medals for the Academy of Architecture of Jalisco and several additional citations for their built work. Recently, the studio won second place in the Mexico Pavilion competition at the Shanghai Expo (2010) and first place at the Eco Pavilion in Mexico City (2013), and was awarded the Emerging Voices award from the Architectural League of New York (2014). In 2015, they exhibited at LIGA in Mexico City. 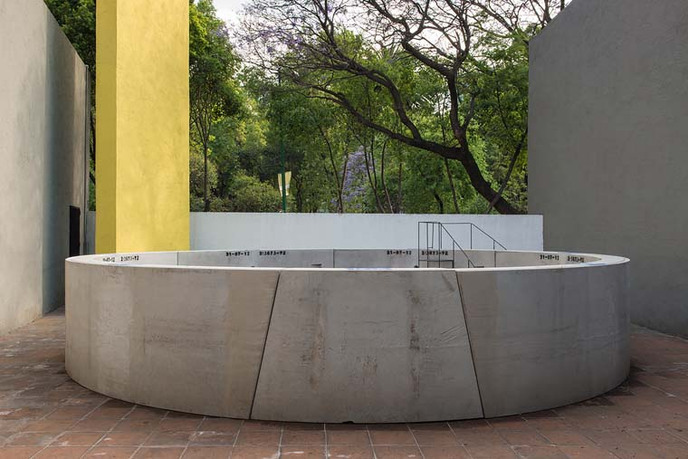 Taller Capital is an architectural studio made up of Loreta Castro Reguera Mancera, José Pablo Ambrosi Cortés, Alberto Bolaños Casarín, and José Eduardo Cabrera Peña. They develop their architectural projects through the principals of the needs of who will inhabit the space as well as the context. Peter Zumthor and Humberto Ricalde are important references, who inform their way of designing and thinking about architecture. APRDELESP is an architecture office with an ongoing research interest in space and the processes by which it is appropriated. Their methodology for making architectural projects is based on the goals to work with existing objects, as well as with inhabitants and their belongings; to facilitate communication between everyone involved in the process; and to document each stage of the design process. This ongoing research allows for APRDELESP to reflect and question their methodology, as well as constantly work to transform it. Their website is an integral part of their practice and research as they publish photographs, stream videos, and broadcast communications in real-time during the different stages of their work. Buró-Buró is an art and design publisher and an office dedicated to the development of cultural projects ranging from workshops, an architecture pavilion competition, or printed matter to online platforms for the dissemination, education, and reflection of the arts and culture. Buró-Buró was established in 2012. After the legacy of Mathias Goeritz, Museo Experimental El Eco constitutes a box of resonance and tension between modernism and the contemporary, opening new research possibilities and connections between different contexts, time frames, and disciplines. This interesting space of opportunity is also enriched by the museum's intention of crossing art disciplines and fostering experimentation, giving each intervention the peculiar opportunity to serve as the starting point of other artistic expressions during the time the pavilion is open to the public.